ADDIS ABABA: Today, as we mark the International Day of Zero Tolerance for Female Genital Mutilation (FGM), spearheaded by the Inter-African Committee on Traditional Practices (IAC), a coalition of leading health bodies are committing to mobilise their members and use their spheres of influence to accelerate an end this extreme form of violence against women and girls around the world. FGM is an extreme human rights violation that has no medical benefits, but has dangerous health consequences. Every year, three million girls are at risk and, in some countries, FGM procedures are increasingly carried out by health personnel. This ‘medicalisation’ of FGM is one of the biggest threats to its elimination. Health personnel are supposed to protect rather than cause harm. They are tasked with providing care and support and are usually the trusted first points of contact for women and girls. Many health personnel are already leading advocates for ending FGM and provide excellent care, but we need a final push to make sure that every single professional comes on board. All health personnel to fully adhere to the Hippocratic Oath and their obligation to protect the health and well-being of their patients, which includes not performing FGM. Regulatory bodies in all countries to ensure that health professionals do not promote the medicalisation of FGM. Health personnel to not only protect girls at risk of FGM, but also provide physical, psychological and emotional care and support to survivors. All health professional bodies to ensure that FGM care and prevention are part of their training and education programmes. “All governments should urgently put in place legislative and regulatory frameworks against the medicalisation of FGM with punitive measures for those who engage in the practice and institutions in which FGM is performed”. The International Federation of Gynecology and Obstetrics (FIGO) is the only organisation that brings together professional societies of obstetricians and gynecologists on a global basis. FIGO's vision is for women of the world to achieve the highest possible standards of physical, mental, reproductive and sexual health and wellbeing throughout their lives. For over 60 years FIGO has collaborated with the world's top health and donor bodies. The International Confederation of Midwives (ICM) supports, represents and works to strengthen professional associations of midwives throughout the world. There are currently 116 Midwives Associations, representing 101 countries across every continent. ICM is organised into four regions: Africa, the Americas, Asia Pacific and Europe. Together these associations represent more than 300,000 midwives globally. The Royal College of Midwives is the voice of midwifery. It is the UK’s only trade union and professional organisation led by midwives for midwives. The vast majority of the midwifery profession are its members. The RCM promotes midwifery, quality maternity services and professional standards. We support and represent our members individually and collectively in all four UK countries. It influences on behalf of its members and for the interests of the women and families for which they care. The RCOG is a medical charity that champions the provision of high quality women’s healthcare in the UK and beyond. It is dedicated to encouraging the study and advancing the science and practice of obstetrics and gynaecology. It does this through postgraduate medical education and training and the publication of clinical guidelines and reports on aspects of the specialty and service provision. With 12,500 members, half of whom are based outside the UK, the RCOG focuses on developing and shaping standards in clinical practice across the globe. The Inter-African Committee on traditional practices affecting the health of women and children (IAC) is an African regional umbrella body that has been working on policy programmes and actions to stop FGM in the African Region and around the world for the last 30 years. It was formed on February 6 1984 in Dakar, Senegal, by African delegates to a seminar organised by a United Nations NGO Working Group on Traditional Practices based in Geneva, with the support of UNFPA, UNICEF, WHO and the Ministry of Health of Senegal. It was formed at a time when female genital mutilation was a highly controversial and a ‘sensitive’ issue for discussion and there was a critical need for an African regional voice in an international campaign against FGM. 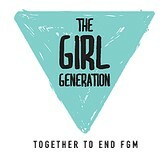 The Girl Generation is a global campaign that supports the Africa-led movement to end FGM. Its vision is a world where FGM ends in one generation. The campaign will amplify the issue on the international stage. It will bring attention to inspirational stories of change from some of the most affected countries on the African continent. It will accelerate the worldwide movement to end FGM by galvanising action, by supporting campaigns across Africa, and by pushing for more resources to end FGM. The Girl Generation provides a positive identity under which the global movement can rally, and a common platform for the idea that together, we can end FGM. forma was founded to raise the voice of the FGM/C survivor through counselling and artistic expression, to educate community health professionals about the practice and its resulting effects, and to build community awareness of FGM/C so it can be ended. It seeks to raise national awareness—thus adding to the global movement to end FGM now. FORWARD (Foundation for Women's Health Research and Development) is committed to gender equality and safeguarding the rights of African girls and women. It is a leading African diaspora women’s campaign and support organisation. It works through partnerships in the UK, Europe and Africa to transform lives, tackling discriminatory practices that affect the dignity and wellbeing of girls and women. Its focus is on female genital mutilation (FGM), child marriage and obstetric fistula. Equality Now is an international human rights organisation which works for the protection and promotion of the human rights of women and girls around the world.